Jake and Zach Hindes have been quite busy since we spoke to them last. 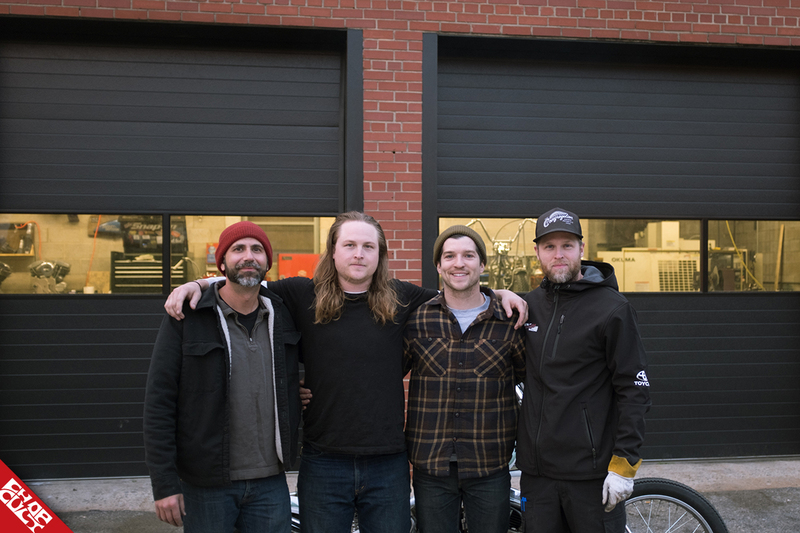 From moving their company Prism Supply to a more prominent location, having children, expanding Prism Supply’s parts line and building one of three giveaway bikes for Born-Free 10, there seems like there’s no stopping these guys. I recently had the chance to catch up with Jake Hindes, and this is the results of our conversation. Enjoy! Congratulations on recently moving to a new shop. Can you tell us about your new location? Thanks! We are super hyped on our new shop location. It's right outside uptown Charlotte in a new and coming part of town called Camp North End. The property and the main building (same building as The Congregation Show), was actually established by Ford Motor Co. and used to manufacture Model A's and Model T's. In the 40's, Hercules Missiles took the facility over and used it to manufacture missiles for WW2. We aren't actually in the "Ford" building but we are about 100ft away so we'll take it! What type of services do Prism Supply offer? We say what we focus on is motorcycle parts, accessories, and apparel. However, we do approximately two full custom bikes a year which we bring to all of the motorcycle shows. We also do miscellaneous sissy bars, seats, handlebars, etc for local customers. But our focus is definitely quality bolt-on and DIY motorcycle parts. How is the second Congregation show coming together? The second show is coming right along. We learned a lot the first year and are using that knowledge to make the second year even better. 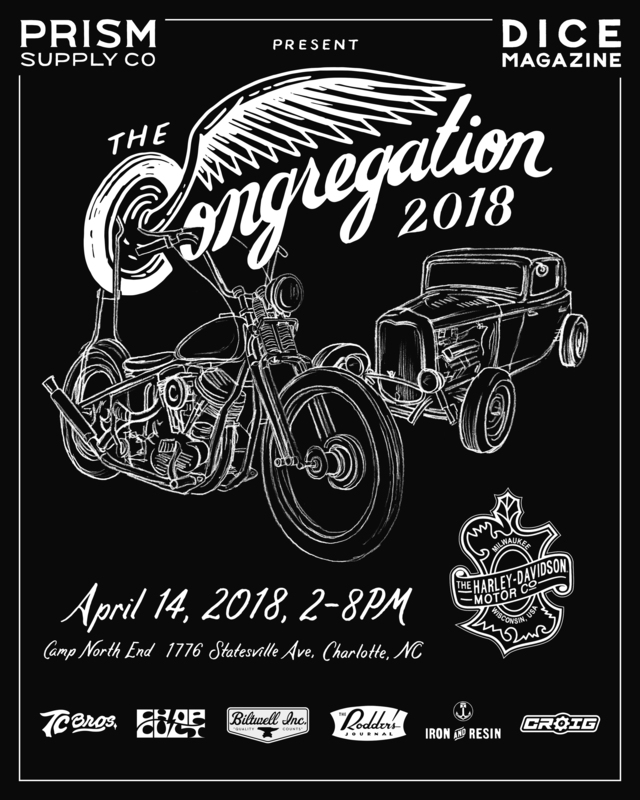 It's truly an honor for us to have support from some of the biggest brands in the industry such as Harley Davidson, Sailor Jerry, and of course the absolute best, ChopCult on board! The date is April 14th, 2018 and we hope to see everyone there! It will be here before we know it! Photo by George Hart from the first Congregation Show. 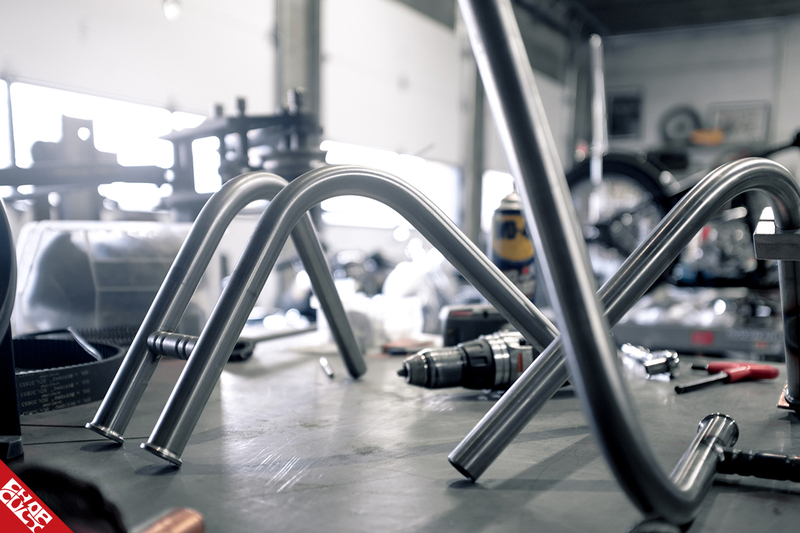 It’s very cool to see that Prism is building one of Born-Free’s giveaway bikes this year. What does it mean to you guys to be associated with one of the best shows around? 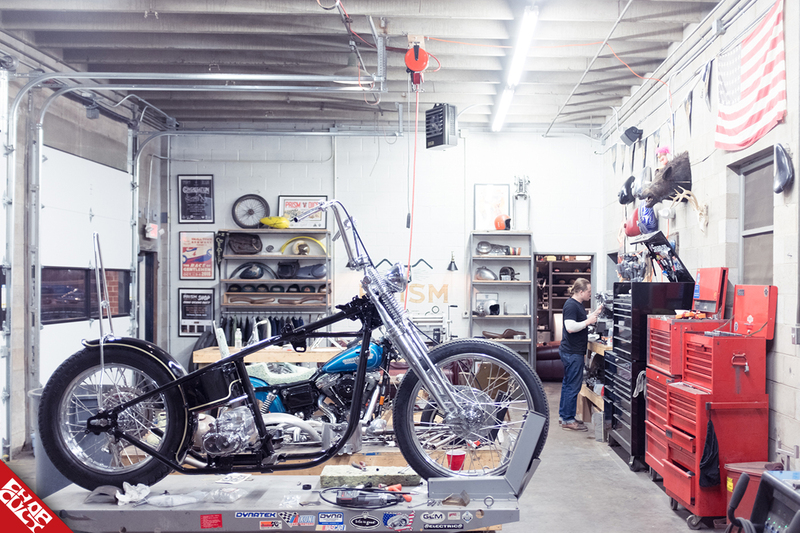 Born-Free is INSANE, and to be building one of the bikes that will be raffled away completely blows my mind. Thanks Mike and Grant for this incredible opportunity. If any of the readers have never made it out to Born Free, you must go! And if you can't make it, you should at least buy some raffle tickets for a shot to win some killer bikes! Can you tell us anything about the build? We are keeping it relatively 60's traditional. The motor is a perfect, matching cases, 1968 generator shovel. The wheel combo is 18" and 21" high shoulder Borrani wheels laced to star hubs and fitted with Coker tires. We are using a VL front fork that we extended 4.5". We will be making a split Wassel-style tank with 2 mini gas caps and bungs from Pangea Speed. The rear fender is a modified K-model fender from Throttle Addiction that we cut, narrowed, and shrunk to fit our 18" rear wheel. We will be running a bates style seat and p-pad. The handlebars will be pre-unit triumph style bars. We haven't decided on the sissy bar yet. 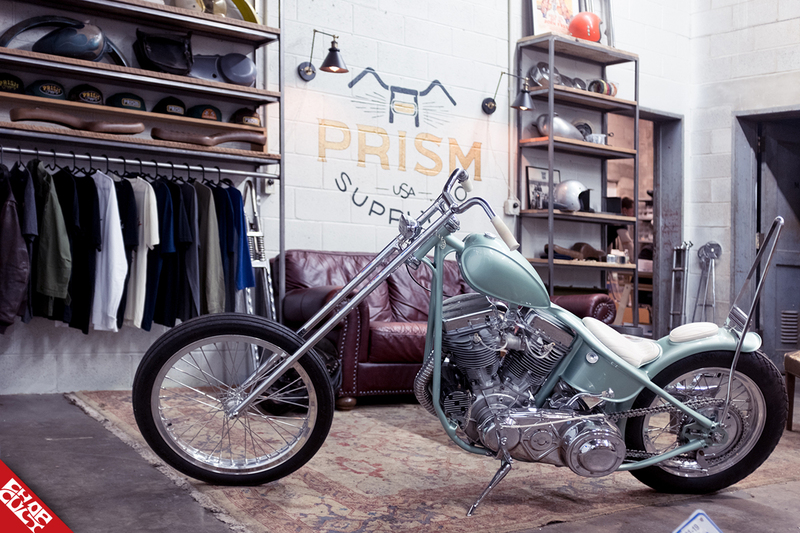 The best way to see updates of the bike is to follow @prismsupply_ on Instagram. RAMBLE ON, BROTHER from Rob Russell on Vimeo. How did your short film Ramble On, Brother come about? Rob Russell is a close friend to all of us in the shop. If you've ever seen any of our other short clips we've released, he's been the creator of all of them. One day, he just reached out to us and said, "Guys let’s do a longer film that just covers you guys and one of your normal weekend adventures and I'll tag along to film it." It was that easy. So we planned a date and stuck to it, rain or shine. Do you plan on attending any other shows this year besides The Congregation Show and Born-Free? We just got back from Mama Tried which was a great show! We will be going to Fuel Cleveland and the Brooklyn Invitational for sure. I'm sure we will hit some others but I just can't think of them right now! What would you consider a perfect day? A day on the lake with close friends and cold beer. If you could ride on any stretch of road where would it be and why? The Blue Ridge parkway is pretty incredible and is only about 2 hours from Charlotte. Watch "Ramble on, Brother" and you'll see why! Do you have anything in the works that you’d like to share with our readers? We recently bought a CNC mill to help keep control over production and quality. We plan to be running many new production parts on that. We are always trying to expand our product line with new petcocks, tail lights, seats, etc. We are working on creating a "bolt-on" kit for sportsters which would include a seat, sissy bar, and handlebars. We will also be coming out with a universal bolt-on cobra style seat for rigid seats soon. I'm sure there's some other things that I'm forgetting to mention as well but basically just trying to expand the product line. Be sure to support Prism Supply this Saturday for the second annual Congregation Show. 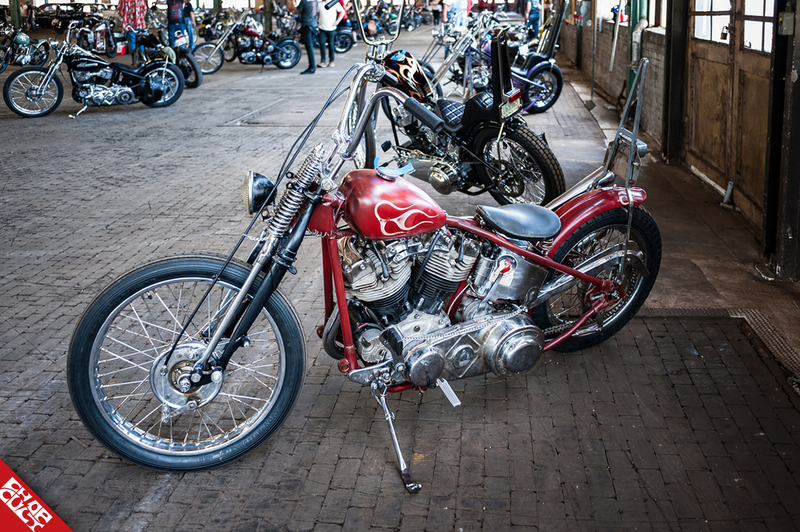 You can also purchase your Born-Free posters/ tickets here for the chance to win their custom Shovelhead chopper. Best of luck!